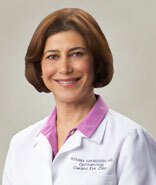 Oakland Eye Clinic is a full service Ophthalmology practice located in Rochester Hills, Michigan. We are dedicated to providing the best medical and surgical eye care and vision care for the entire family, ranging from pediatric eye exams to routine eye care as well as vision correction procedures such as LASIK and cataract surgery. Our Rochester Hills eye doctor also helps patients who suffer from advanced eye diseases such as glaucoma and diabetic retinopathy. We take great care in providing the highest level of care and treatment for the eyes from beginning to end. Our first class staff, led by Dr. Roxana Hakimzadeh, takes pride in providing the best available personal care and a safe, friendly and inviting family-oriented environment. 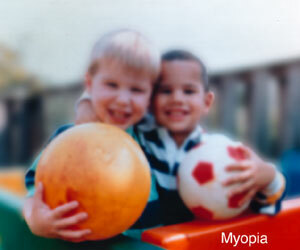 LASIK is a fully customized laser eye surgery created to address poor to bad vision. LASIK will identify your specific needs and offer tailored results. After measuring the curvature of the cornea and creating a blueprint of the eye a thin flap is created on the retina through which a computer-guided laser works hundreds of times faster than the human hand to make corrections. Our LASIK patients, who choose this advanced vision correction procedure, often obtain results sufficient enough to permanently stop wearing glasses or contact lenses. Changes will be apparent immediately but the full results will come into focus after the eyes heal completely over the course of several days. 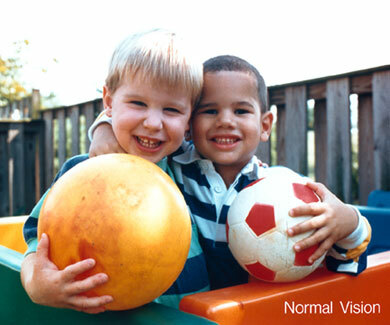 LASIK successfully eliminates most refractive errors, including nearsightedness, farsightedness and astigmatism. In fact, most patients who come to us for help are able to achieve near perfect vision and some even obtain 20/20 vision. At Oakland Eye Clinic we use the most advanced, state-of-the-art lasers to correct your vision. In fact, we routinely update our equipment to provide the best possible vision correction results while maintain maximum patient safety. Our meticulous care is coupled with our family-oriented environment and an ophthalmologist who has decades of experience helping individuals just like you achieve near perfect vision and eliminate the need for glasses and contact lenses. Laser eye surgery will give you the freedom to perform various activities that you are not able to enjoy when wearing eye glasses and contact lenses. For example, our patients are able to go swimming without having to worry about their contact lenses or glasses. They are able to see better while working on the computer without the irritation or eye fatigue often experienced by those wearing glasses or contact lenses. Infections associated with contact lenses such as pink eye and irritation as well as dry eye is eliminated. We understand that LASIK surgery is costly, which is why we offer CareCredit Financing. CareCredit is an independent company and offers many financing options to cover part, or all, of the surgery costs. We navigate you through the application process right in our office if you choose and usually can give you an answer before you leave the office. Applications are available in our clinic or online. 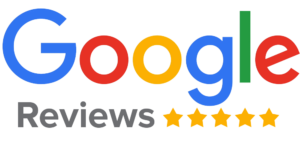 Please contact us today to learn more about LASIK surgery in Michigan, including Detroit and Rochester Hills, to see if you are a good candidate for this procedure. At Oakland Eye Clinic, we offer free LASIK evaluations and appointments. At Oakland Eye Clinic we offer a range of additional eye care services, ranging from cataract surgery to diabetic eye exams, glaucoma evaluation and treatment, dry eye fatigue, pediatric eye care and more. View our full list of our comprehensive eye care services for you and your family. Our optical shop offers a great selection of the most popular name brand and designer frames. And our staff will help you find frames that will fit your face, your fashion sense and your lifestyle. Visit Our Optical Shop for More Information. We hope that we have been able to provide you with information that will help you understand the importance of eye health and make educated and informed decisions. Please feel free to contact us for more information on any of our services or products. Thank you for choosing Oakland Eye Clinic!